Deeds are an important part of any real estate transaction, but they can often cause confusion for parties involved due to unique circumstances. To help clarify this topic, we wanted to provide with you some information about why deeds are important, different types of deeds and everything else you need to know to ensure you feel comfortable with this part of the process. In their most basic form, Deeds are a written document that transfers a piece of property from one party to another when a home is sold. The deed is the vehicle for transferring a Title, but is not the Title itself. The signing of a deed must be notarized and filed in the public record in order to make the document binding in the court of law. Your escrow officer will help you determine which type of deed to file. The Deed is prepared by the escrow company/Title company or an attorney and states that the seller, currently vested on Title, is granting the Title to the buyer, as the buyer has chosen to take Title of the property. Now, let’s move onto the different types of Deeds and when they are commonly used. What Are Some Common Types of Property Deeds? A Grant Deed is the document that is used to officially transfer ownership from one party to another during the real estate closing process and it, or the Warranty Deed, are normally used in the transfer of residential real estate. It guarantees that the property has not already been sold to another party and that there are no liens or restrictions that have not already been shared. The Grant Deed is extremely important for the buyer because it guarantees that there are no legal claims on the property by other parties and that there aren’t any taxes owed that would block its sale. The Grant Deed requires the grantor’s signature that must be acknowledged with a California all-purpose acknowledgment. The Grand Deed requires a certificate of acknowledgment endorsed on the deed (CIV 1188). Grant Deeds that are submitted for recording must also be accompanied by a filled out Preliminary Change of Ownership Report. A Grant Deed provides more protection to the Buyer than a Quitclaim Deed, but not as much protection as the Warranty Deed. The main difference between a Grant Deed and a Warranty Deed is that with a Warranty Deed the grantor will warrant and defend the Title against the claims of all persons. A Warranty Deed is used to transfer the ownership of the property, but it provides more information than the Grant Deed. The Warranty Deed includes the grantor promising that the property that is being transferred as a clean Title, i.e. the property is free of liens and there are no other claims to ownership. If for some reason, these promises turn out to be inaccurate the grantor agrees to be financially responsible and compensate the buyer of the property. A Quitclaim Deed is used to transfer whatever ownership rights exist on the property at hand. They are a useful Deed type when the transferring rights are unclear. 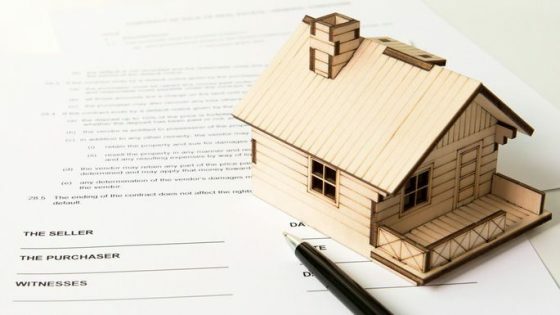 A Quitclaim Deed isn’t commonly used when selling property, but is a common Deed Type for transferring ownership between family members, divorcing spouses or people who know each other. They are also commonly used when transferring ownership into a living trust. This Deed type provides the least amount of protection to the real estate grantee since the grantee is receiving Title to the property “as is,” and there may be encumbrances, known or unknown on that property that the grantee is receiving. The Interspousal Deed is typically used to transfer property between spouses and can be used to avoid tax liability when transferring property. The Interspousal Deed works by allowing one spouse to transfer the property to another spouse, and the property then becomes the receiving spouse’s separate property. In general, when the property Title is transferred, some counties impose a transfer tax and reassess the value of the property. However, an interspousal transfer deed is a special kind of transfer that is exempt from transfer taxes and ultimately a cost-effective method of transferring property between spouses. The Special Warranty Deed is most commonly used in commercial property and is also sometimes used to transfer REO (Real Estate Owned) properties. With the Special Warranty Deed, the grantor gives the warranty only for the time frame in which he/she held the Title. This is different from the Grant and Warranty Deed, as those warranties apply to any period of time, including when the grantor held the Title and before. All warranty given through a Deed pertains only to the condition of the Title of the property. Deeds have nothing to do with the actual physical condition of the property. Deeds must include the property’s legal description and the APN Number that is displayed on the tax rolls for the property. Deeds are prepared in accordance with the property type of property that is being transferred, or per specific instructions provided by the seller. Deeds are typically recorded within one business day after escrow has received receipt of loan funds. California views Grant Deeds, Warranty Deeds, and Quitclaim Deeds all as the same thing. The Deed conveys ownership, and the Title insurance company will insure that the buyer receives clear Title to the property they are purchasing and guarantees against encumbrances. As long as home buyers go through an escrow and receive Title insurance at the close of escrow, they do not need to be concerned with the type of Deed that is used to transfer the property into their names. We hope this article helped clarify any questions you had about Deeds. If you still have questions, please don’t hesitate to contact us. We are here to help you!